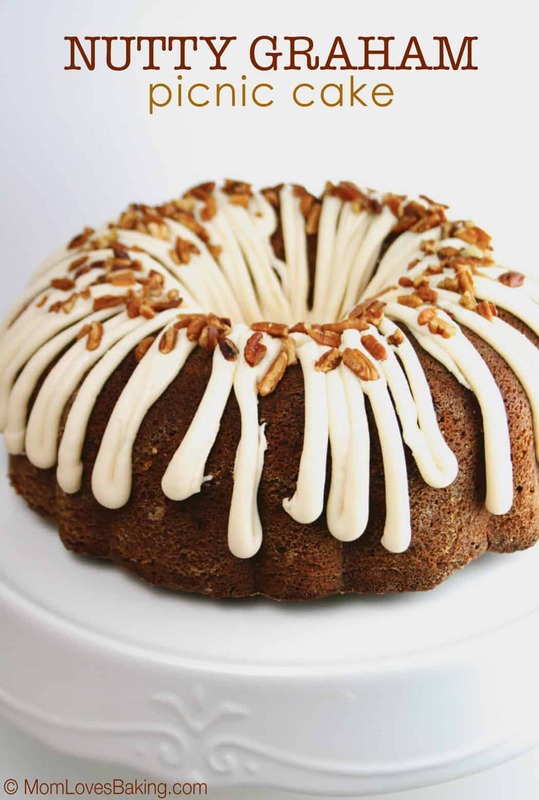 Nutty Graham Picnic Cake won the 28th Pillsbury Bake-Off in 1978. Recipe on Pillsbury.com by Mrs. Esther Tomich of San Pedro, California. The 33rd winner out of 52 (in case you’re counting and following along with my baking project – 52 Grand Prize Pillsbury Bake-Off Recipes in 52 Weeks). 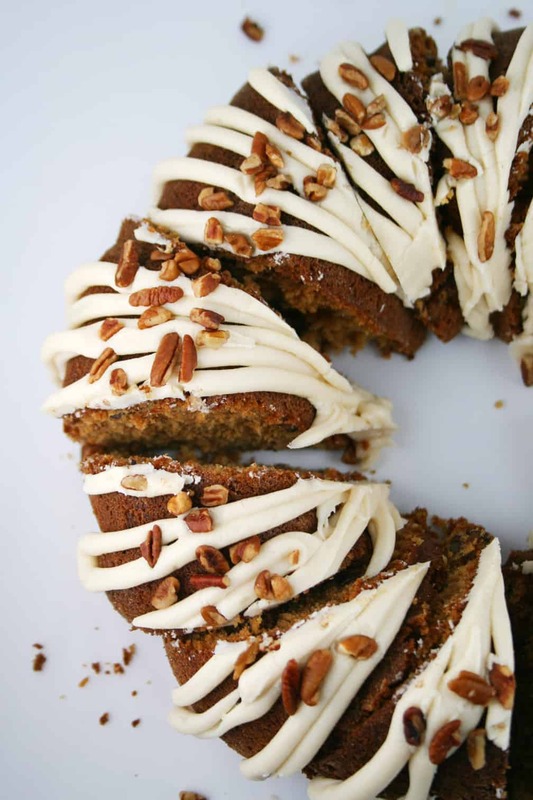 A made-from-scratch cake flavored with graham cracker crumbs, orange zest, cinnamon and nuts. How can you go wrong with those flavors! Making this cake is not hard at all. 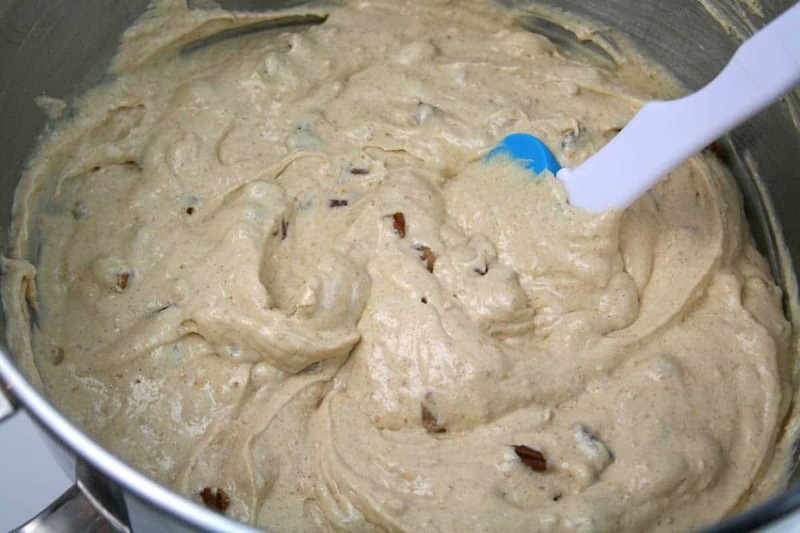 You basically dump all of the ingredients in the bowl (except the nuts) and mix it up. Fold in the nuts. 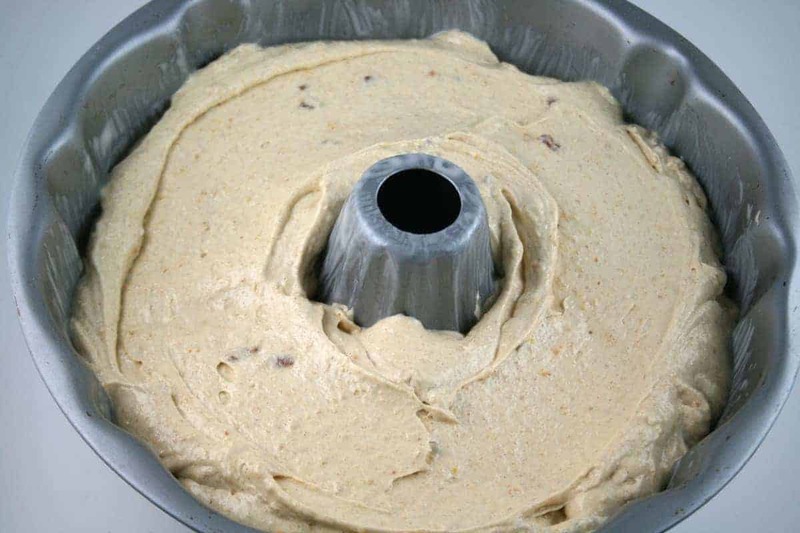 Then pour the batter into a greased tube pan or bundt pan. Bake at 350°F. for 40-60 minutes and this is what you get. 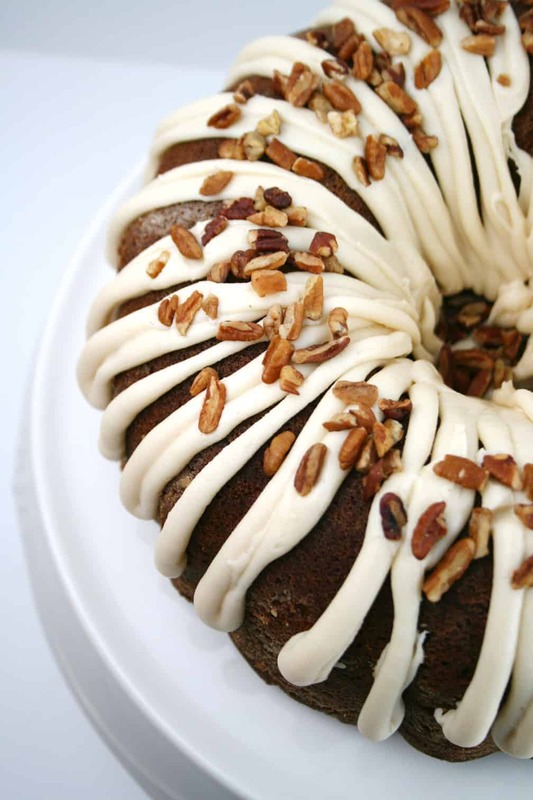 I just love the shape of bundt cakes, don’t you? I might have doubled the frosting recipe. I have a husband that likes the icing much better than the cake. The icing is a little different. You heat the brown sugar, milk and butter on the stove just until the sugar is dissolved. Then add the powdered sugar. 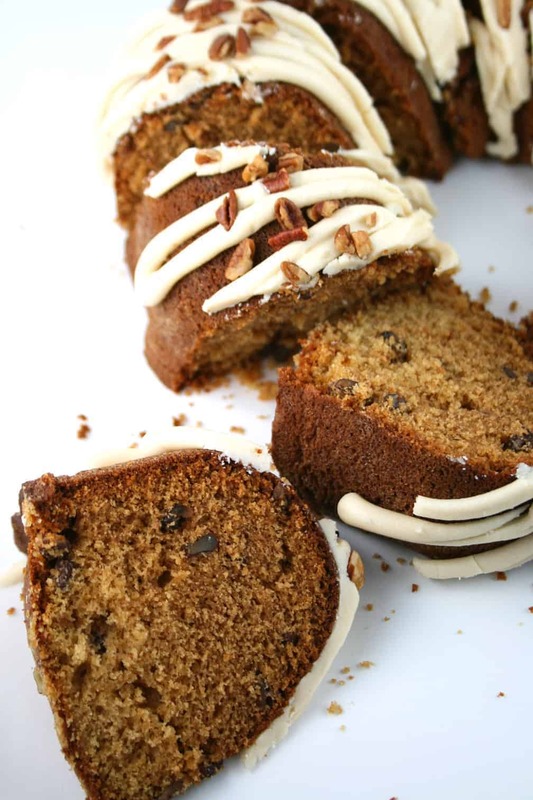 This is the perfect slice of cake to enjoy with your afternoon tea or coffee. Or a great excuse to throw a tea party. 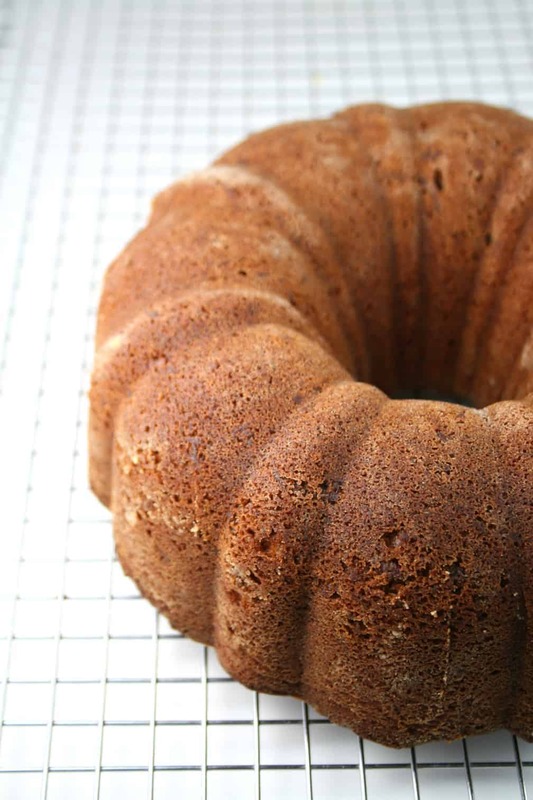 It’s moist and nutty with a hint of orange and cinnamon. Looks yummy!!!! Now I’m jealous, I wish I could do this recipe for my kids.